I remember my first invitation to Rohmir's runway show at Fashion Scout, some years ago now. The room wasn't madly busy, at least compared to many of the other shows Tazz and I had squeezed into, and there was a silky scarf on top of the usual array of minature beauty products and health drinks in each of our goodie bags. I recall at the time feeling somewhat underwhelmed by the collection, although I must admit my younger, naïve mind was very much more excited by flamboyance and eccentricity over refined glamour. In hindsight, the collection was probably very wearable. 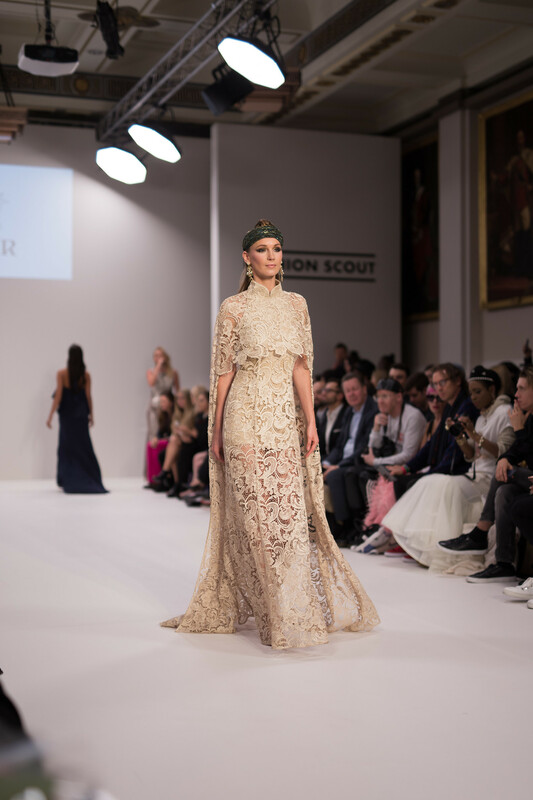 Despite having been invited to every Rohmir fashion show since, this is my first blog post featuring the Russian designer Olga Roh, and of the many and varied collections I saw at London Fashion Week this season gone, hers was - much to my own surprise - my favourite. Truly, it was a pleasure to observe just how much the label has evolved, and to acknolwedge my own appreciation for beautiful fashion. Appropriately titled "Sparkling", the Rohmir SS18 collection is one of timeless beauty and sophisticated glamour, with dazzling details throughout. The luxury ready-to-wear pieces, which include summer dresses, pant suits, capes and flowing gowns, not only take inspiration from classic Italian allure, they are a celebration of quintessential feminity. 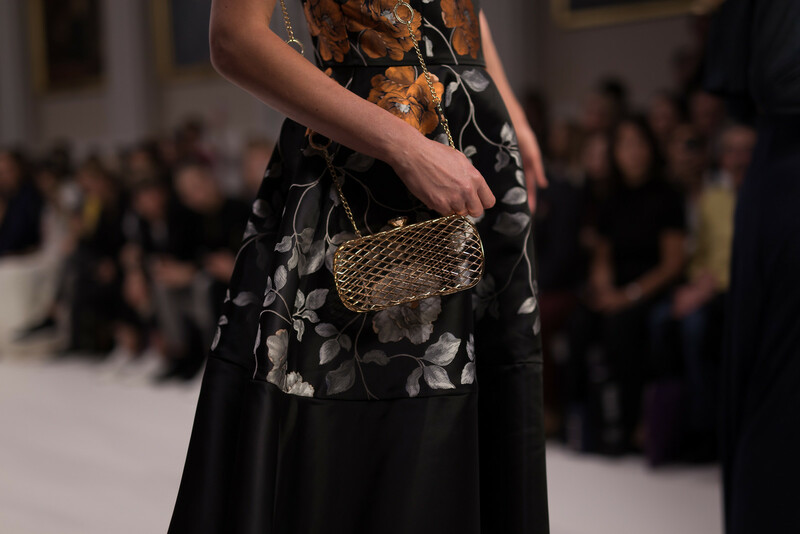 Floral prints and lace took centre stage on the runway, alongside bejewelled dresses, sheer blouses, and glittering statement jewellery. It is difficult not to imagine many of these ensembles parting the crowd at a grand ball, or even - dare I say it - upstaging the bride at a wedding. The collection aside, there were many additional elements that made the show as much a spectacle as the clothes. The soundtrack of the show was live Italian opera over a modern backing track, an aural reflection of Rohmir's modern-classical woman. The models, too, walked the runway with poise and elegance, many with a smile that shone as brightly as the spotlights bouncing off the gemstones. More importantly, however, was the choice of models themselves. 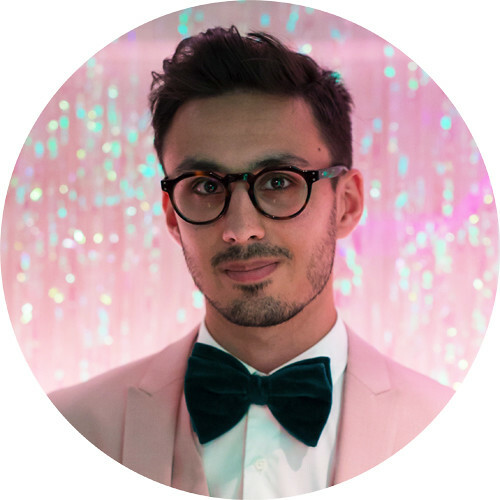 The decision to include maturer women on the runway would be commended by Caryn Franklin's All Walks Beyond The Catwalk, which campaigns for greater diversity in the fashion industry. As Caryn has herself asserted, it is the maturer women who often have the most money to spend on designer fashion, therefore to frequently use younger, often teenage models in fashion shows and advertisements would appear counter-intuitive. In contrast, a delightfully unexpected addition to the catwalk was the three young girls wearing childrenswear equivalents of the main collection. 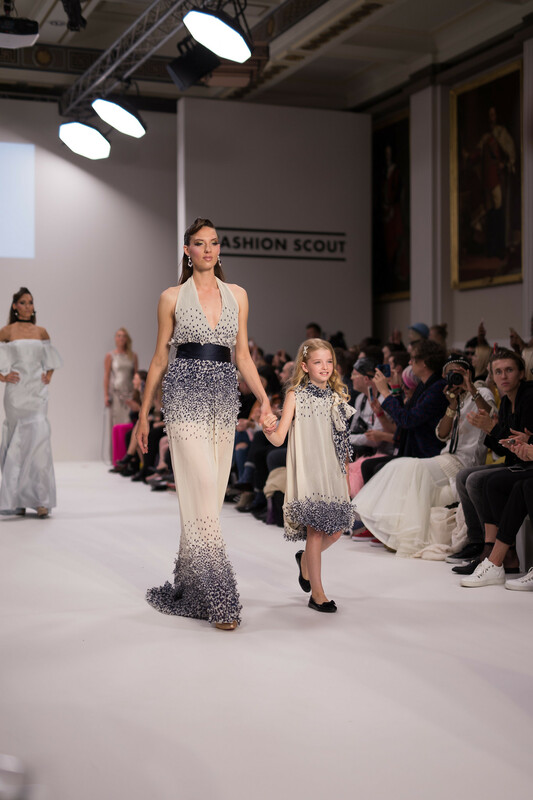 Walking down the runway in very little (if any) make-up, hand-in-hand with the professional models like younger siblings emulating their big sisters, the girls stole the show with their equally beautiful attire, and a sweet and smiley innocence that lit up the room.